Tredegar’s Heritage Lottery Fund Project continues to make progress, with the band preparing to record the first batch of original works and arrangements that will feature on two special ‘Heritage’ CDs. 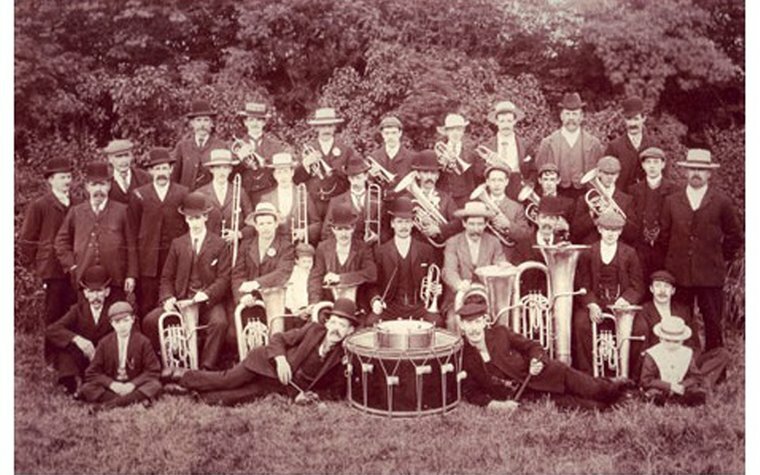 Each track represents a significant social, cultural or musical link to the band within the wider context of the brass band movement of south-Wales and the UK. Each is no longer in copyright or was written or arranged specifically for Tredegar Band to perform. One of the tracks will make a link to the earliest part of the band’s contest history. ‘Worthy is the Lamb’ and ‘Amen’ from Handel’s ‘Messiah’, was performed by Tredegar in winning the Merthyr Tydfil Eisteddfod title in 1879 under conductor Tom Hardy. Meanwhile, Schumann’s suite ‘Romantique’ was the test-piece played on the band’s debut at the famous Crystal Palace contests in London in 1929, led by Sam Mounfield. Two works by the Tredegar born composer TJ Powell will also be included. The first is a triple tonguing cornet solo called ‘Burbling Brook’, which will be performed by Dewi Griffiths, whilst the concert overture ‘The Glory of Victory’, written for the band to play as part of the annual VE Celebrations in 1947 will also be recorded. Another concert work, ‘The Diamond Cross’ from the early 1920s by composer JA Greenwood, was played by the band at a Bedwellty Park Bandstand concert in the town 1947 - and revives an important link to Band President Brian Buckley. He was the youthful principal cornet player under the direction of his father Con Buckley when it was performed 70 years ago, and thanks to his research, was unearthed in the band library and subsequently performed in concert at the same venue at Bedwellty Park in July this year with Brian in attendance. Finally, an unpublished work by renowned brass band adjudicator William Relton, entitled ‘The Youth of Monmouthshire’ will also be featured. It is being recorded to pay tribute to the success of the all-conquering Tredegar Junior Band. Written in 1971 it was played by the band in winning the then Monmouthshire County Youth Brass Band Contest held in Cross Keys under the direction of conductor John Childs. On completion, the CDs will be made available free of charge to visitors to the bandroom, supporters and linked organisations to the project.